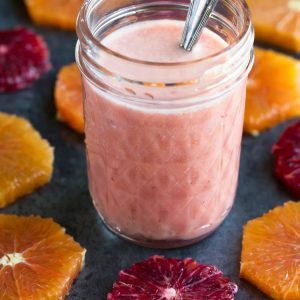 Jazz up your Spring and Winter salads with this easy Blood Orange Dressing! Feel free to double this recipe if needed! Dressing will keep for several days tightly sealed and refrigerated. Shake before serving.